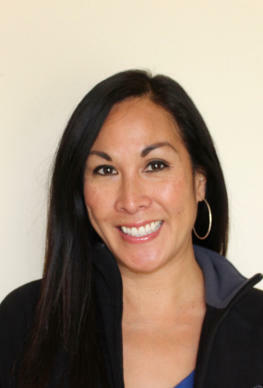 Director of Child Development Programs Chibi Chan Preschool Shana Kanzaki is a native San Franciscan and former program participant of JCYC. After earning a degree in Child Development from San Jose State University, she was hired as a teacher at Chibi Chan Preschool. In her capacity as Director, Shana has been the creative and driving force in the preschool’s overwhelming success. She has been involved in planning the physical environment of the site, the expansion to serve toddlers, and the development of cutting edge, age-appropriate curriculum for 2 to 5 year olds. Shana Kanzaki Director of Child Development Programs Chibi Chan Preschool Shana Kanzaki is a native San Franciscan and former program participant of JCYC. After earning a degree in Child Development from San Jose State University, she was hired as a teacher at Chibi Chan Preschool. In her capacity as Director, Shana has been the creative and driving force in the preschool’s overwhelming success. She has been involved in planning the physical environment of the site, the expansion to serve toddlers, and the development of cutting edge, age-appropriate curriculum for 2 to 5 year olds.